Tonefancier series effects,which have used the high-class handwork effects as standard, with a high cost in adopting a lot of high-quality and well-known HI-FI audio parts and combined with classic circuits and good internal structure, have reached a very high quality level! 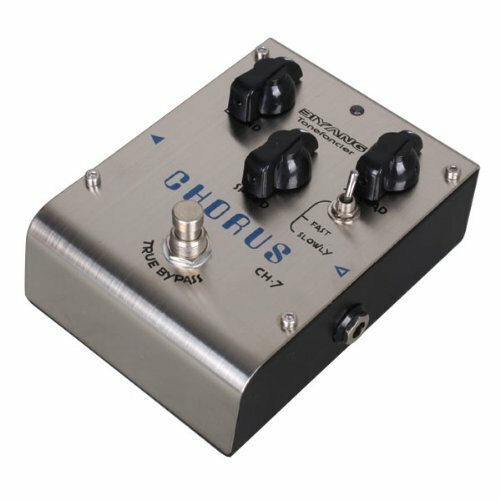 CH-7 is a chorus effect which using the analog circuits design, the tone is clean, natural, warm. The switch for two kind of speed controling makes it adjustable widely. Using high quality stuffs such as German WIMA audio capacitance, High precision resistance etc...for signal transaction. If you have any questions about this product by Biyang, contact us by completing and submitting the form below. If you are looking for a specif part number, please include it with your message.